Its bigger, better and funnier! 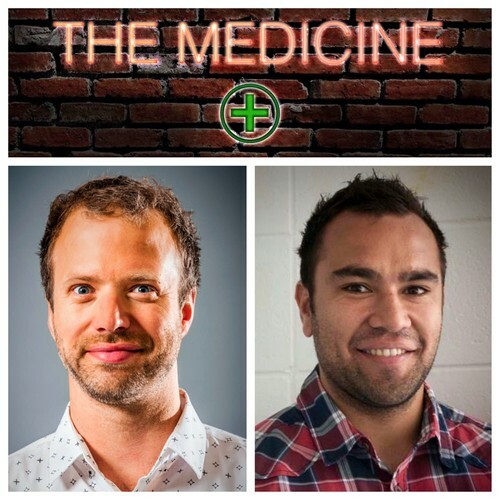 The Medicine Stand-Up Comedy won 'Best Show' at the Wellington comedy awards last year and has moved to Wellington's new home of comedy - 'VK's Comedy & Blues Bar' on the corner of Dixon Street and Cuba. Wellington's hottest stand-up comedy show bringing you fresh laughs, top comedians and guest appearances by award-winning national and international comedians, as well as showcasing the rising stars in the Capital comedy scene. For the 22 July show we are bringing together a real mix of Capital comedy styling’s for you. Hosted by the loveable Canadian Rob Harris (back-to-back NZ Comedy Fest sell-out shows) and headlined by Dan Shenton (featured on Ben Hurley’s “Next Big Things”). and Jonny Potts in the infamous ‘Crowd Work Only’ spot. The Medicine Stand-Up Comedy won 'Best Show' at the Wellington comedy awards last year and has moved to Wellington's new home of comedy - 'VK's Comedy & Blues Bar' on the corner of Dixon Street and Cuba. Get on down to VK's Comedy & Blues bar every Wednesday at 8pm to get your weekly dose of laughter (alongside some great drinks specials). Wellington comedy has been the breeding ground for some of New Zealand's top comedians like Dai Henwood, Ben Hurley, Guy Williams, James Nokise, Steve Wrigley and more. Come and see New Zealand's next big things in comedy!